Briggs & Stratton continues to be the focal point of grassroots racing, thanks in part to the development and promotion of the 206 engine powerplant. From the local and regional tracks, the engine platform has found its way to the WKA Manufacturers Cup Series for the 2017 season. A class was offered in the WKA Winter Cup in 2016, and now both programs host a LO206 Senior division. 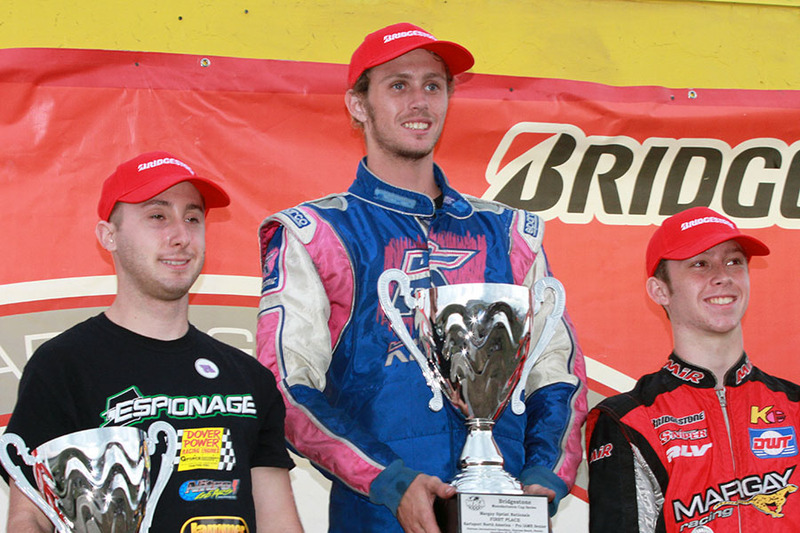 The 2015 edition of the WKA Daytona KartWeek was the debut of the Briggs 206 engine at the event, welcoming over 40 drivers in the Senior division. The move to a CIK bodywork only format for 2016 brought over 30 drivers, with the same name at the top of the time sheets – Corey Towles. 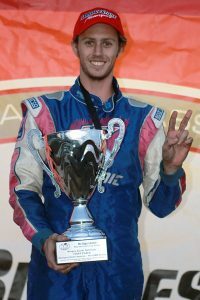 The Florida native was a double winner at the 2015 edition of the Daytona KartWeek, edging out fellow Florida driver Sean Meier on Day 1 before running away with a second victory on Day 2. Towles took the same Comet Eagle kart that had the ‘Gold Cup’ style bodywork on it, put on the CIK bodywork and came back to Daytona to defend his two victories. Qualifying for Day 1 was tight, with the top three separated by just 27 thousandths of a second. Margay driver Jordan Bernloehr put together the fast lap on his final circuit to claim the pole position over Eric Fagan while Towles found himself in third. Towles drove into the lead by lap three of the Prefinal, and broke away as the rest of the quick drivers battled for the second position behind him – posting fast laps of the race. From the pole position, Towles was able to get his Comet Eagle kart away early in the main event. A late charge by Zach Linsell came up short, with Towles leading all 20 laps for the victory. The next day brought cold winds across the Daytona International Speedway all day long, dropping the temperatures. Towles was able to adjust, and came out for qualifying with quick laps early – all alone with no draft – and held off a late charge by Dustin Demattia for the pole position. Towles got away early again in the Prefinal, pulling out to a near four-second advantage with fast laps of the race. The Final was a similar performance with Towles bringing out the broom to complete the sweep on the day. Consistent fast laps of the race put Towles out front by over seven seconds to claim his second victory of the event, and four straight at Daytona KartWeek over the two years. 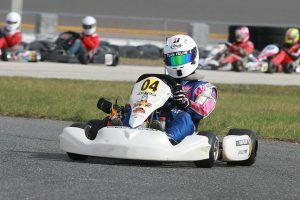 Right now, Towles focus is on winning the WKA Winter Cup program, as he currently leads the LO206 championship following the two wins in Daytona. Up next is a trip to his home circuit, the historic 103rd Street Sports Complex in Jacksonville, Florida on February 24-26. 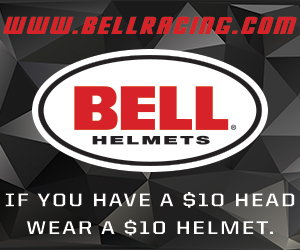 That is followed by the series finale as WKA makes its first trip to the Ocala Gran Prix circuit on March 31-April 2. Funniest moment at the race track? My buddy Russ telling me after being wrecked at Ocala “if you can’t drive it, pick up the kart and throw it at him”. The axle was bent at a 90 degree angle.